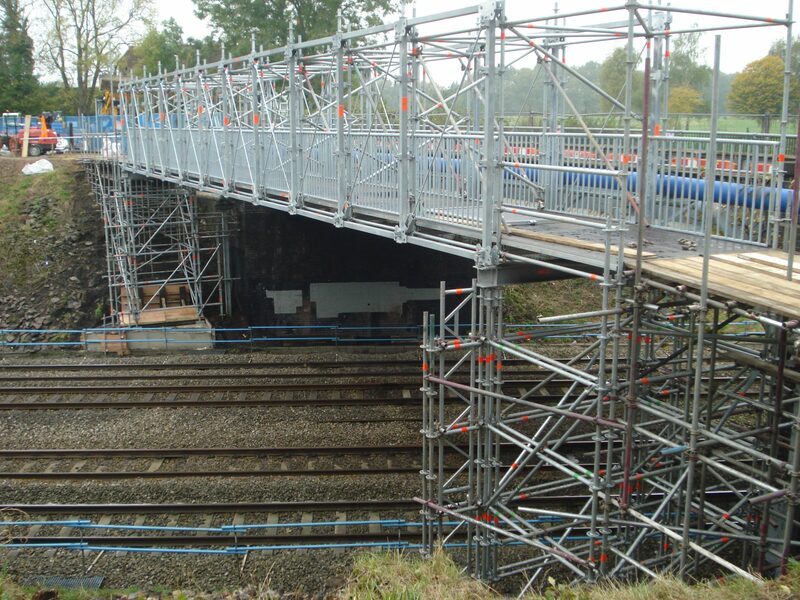 PHD Modular Access provided all the scaffolding to facilitate the construction of the important new Dufﬁeld Road railway bridge. The Dufﬁeld Road railway bridge was replaced as part of a project to ensure that trains could pass under it when the Great Western Main Line is electriﬁed from London Paddington to Bristol and then Cardiff and Swansea in 2018. Work on the new structure started in October 2012 and the bridge was fully re-opened to trafﬁc as of 3rd April 2013. The work involved removing the old bridge and installing a new bridge to achieve the height clearance needed for the overhead electric lines to allow the trains to pass safely under it. 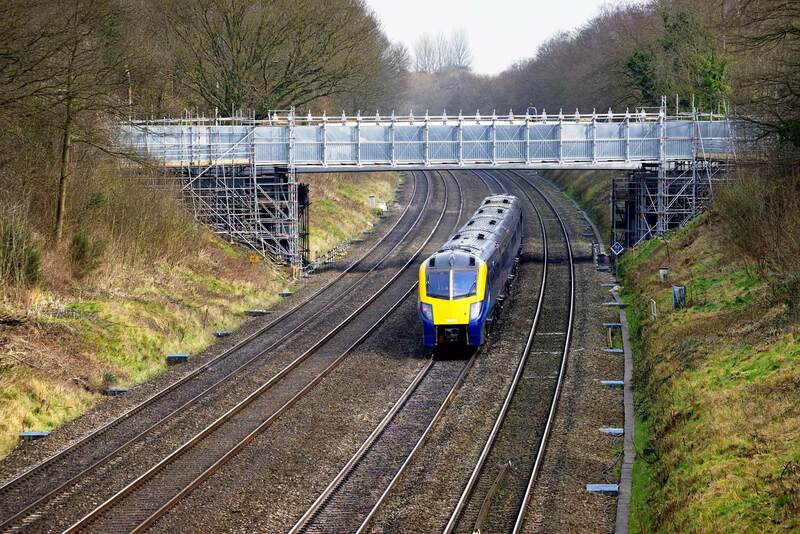 The PHD team were required to erect a temporary scaffold footbridge over the main live train service to allow the general public to cross over the live tracks whilst the old bridge was being replaced. 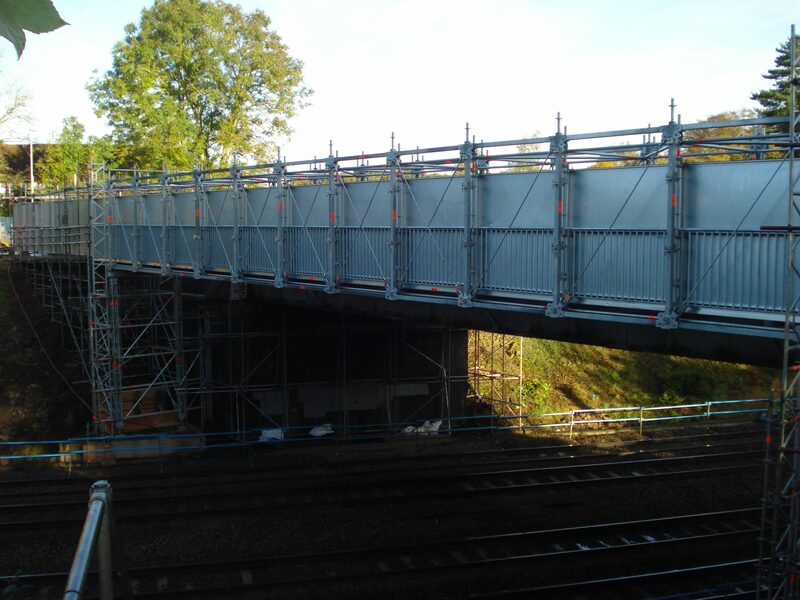 PHD craned into position a Layher Allround bridging system, spanning a total of 22.77m with a SWL 5kn/pm2 pedestrian footbridge over a live network rail service. This extraordinary feat ensured daily service continued for network rail. PHD then cladded the internal bridge with GRP and Protect panels for a safe environment.